Woop woop! It's pressie time! Our first contest within the Christmas Countdown is pure Rock 'n' Roll: we are more than glad to be able to give away a copy of Go Go Berlin's debut album "New Gold" to one lucky winner! 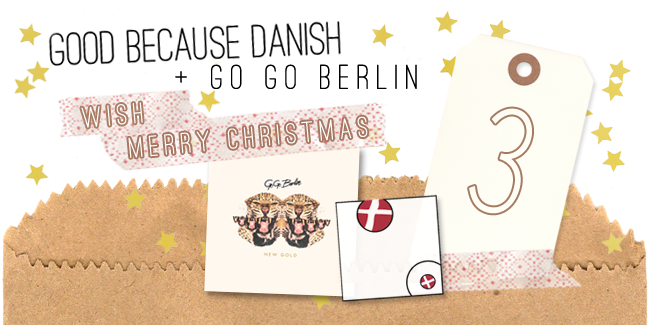 Write a mail with the subject "Christmas Countdown: Go Go Berlin" to goodbecausedanish@gmail.com and tell us what your artist name would be if you were a rockstar! Don't forget to also include your address into the mail. Deadline is 13 December 2013. Now, get a little taste of what can soon be yours - it's even snowing in the video!